“The year without a summer” as it was known, 1816 was bleak, if not strangely gothic. Mount Tamboro in Indonesia had erupted the year before, pitching volcanic ash into the atmosphere and obscuring the sun. Torrential rains pressed deep into the year, resulting in global crop failures. The birds quieted down by midday, as darkness descended, and for days at a time, a group of writers huddled by candlelight in a rented mansion on Lake Geneva. 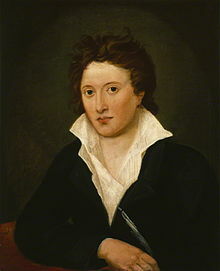 The dashing 23 year old poet Percy Shelley and his 18 year old companion, Mary, who had already taken to calling herself “Mrs. Shelley,” traveled to the lake to spend the summer with the poet Lord Byron. Also in company were the physician John William Polidori, and Mary’s stepsister Claire Clairmont, pregnant due to an affair with Byron, as he was now in the grips of writing a poem, simply called Darkness. Mary had already given birth to two children by Percy, one of which was dead, and the other, soon to be dead, while Percy’s actual wife, Harriet, at the brink of exhaustion, drowned herself in the River Westbourne by the end of the year. This was a brief moment of refuge. Byron had rented the Villa Diodati, where the group convened during the “incessant rain,” which held out for days at a time, discussing their literary projects late into the night. Polidori, the physician, offered a counterbalance of reason and evidence as Percy and Byron speculated on “the principal of life” while exchanging German ghost stories. Then on the night of June 15, 1816, they all read ghost stories aloud. And then, Byron suggested they each try their hand to write one. 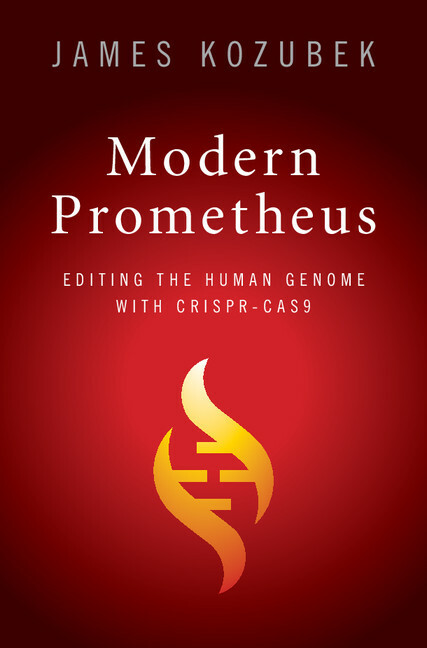 Mary would write her stunning exegesis Frankenstein, or The Modern Prometheus in just under 11 months. She set forth to write a penny dreadful but wrote a stinging commentary on the times that came to her in a flash, a waking dream. A collision of forces discharged in her writing, and she produced something more than a ghost story, but a “book of ideas.” This was the height of the Industrial Revolution. Many in her generation, including Percy, sought to break with traditional values such as the monarchy, military, marriage and social class, opting instead for reason of scientific inquiry, free love and atheism; but this shift to impersonal rationalism also triggered recoil. Mary’s father, William Goodwin, author of Enquiry into the Principals of Political Justice “believed, like Voltaire, in the power of pure reason to solve all social, political, and personal problems. And like Rousseau, Godwin felt that humans are by nature benevolent and become evil only when abused by society. Government, he preached, and other institutions like marriage and the family, impose evil restraints on citizens and must be abolished” urging “well-educated citizens working toward a better world by repressing emotions and reasoning person-to-person.” Mary’s father was not affectionate, her mother, dead, and she grew up an intellectual heiress to a newly liberated world, with few close companions. Mary was struggling to bring competing ideas into a “symbolic synthesis,” which, as Walter James Miller notes, included “her anguish as the neglected child of a genius” and “her dread of her father’s impersonal rationalism and her husband’s unconditional love of science.” The trick she pulls on the men in her life is to let them win to the full extent—the name of the main character in her novel, “Victor,” is ironic. “I have described myself as always having been imbued with a fervent longing to penetrate the secrets of nature,” the scientist tells us. Frankenstein sets out to create a perfect human. So shall it be. The figure that he creates has a penetrating intelligence, and a ferocious love of life. He is eight feet tall and bolts through the Swiss Alps with stag-like swiftness, has translucent, yellowish skin. He is, in a sense, engineered as the perfect machine. But no one loves him. He is alone, and his loneliness and existential grief drive him to exhaustion and the brink of insanity. Shelley’s novel begins at the end, in epistolary form, based on letters between Captain Robert Walton Saville and his sister on the mainland, as the captain explains he has rescued Victor Frankenstein from an ice floe, bringing him back up upon the deck of his ship, which is on expedition in the North Pacific. Frankenstein tells him the strange tale of how he created an eight-foot superhuman and how it all backfired. In fact, Frankenstein has repressed many of the details of the story until this moment. He had a breakdown that occurred early on in the story, when his younger brother William was murdered. He now comes to terms with the reality that the fiend he created killed most of the members of his family. In fact, the fiend started out good. He saves a young girl who falls into a slipstream, but a mountaineer calls it out for malicious intent, shooting him through the shoulder with a shotgun. The fiend stares through windows. He has incredible intelligence and ability, but he cannot connect. 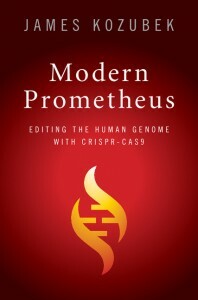 This perfect figure is everything science could hope to dream about, but he is a neglected orphan. He soon demands friendship. Victor learns he is bound to the figure he creates, which results in a haunting effect. While hiking in the Swiss Alps, Frankenstein encounters the fiend, once again, and tells the fiend that he must go. But the fiend demands a family, and he asserts his own sanctity in defiance. “Life, although it may only be an accumulation of anguish, is dear to me, and I will defend it,” he says. Deeply distraught by his loneliness, the fiend ends up stalking members of Frankenstein’s family, killing William, and then, his adopted daughter Elizabeth. When the fiend he created murders William, he plants evidence that leads to the conviction of a servant, Justine, which Frankenstein (the scientist) willfully buys into. “Certainly, we have to consider Frankenstein as the ultimate cause of the monster’s misdeeds. 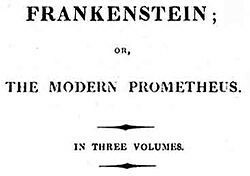 Moreover, starting with the murder of William, Frankenstein was morally obliged to reveal his secret. His refusal to do so, with rationalizations convincing only to himself, makes him an accomplice. What he can only dream of doing—killing Elizabeth—he in effect allows the monster to do. 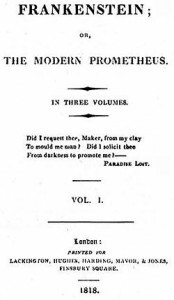 Shelley portrays Frankenstein as first dreaming that he is going to cause Elizabeth’s death and then ignoring what his own mind has told him,” Miller notes. 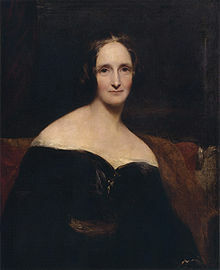 Mary Shelley invented science fiction, and her work remains to this day more powerful than any popular science writing I have read because of her grasp of reality, and her insistence on humility even in the grips of our most striking scientific insight. What remains bothersome to us today is her enforcement of a plot in which science fails to confine reality or to be a final purveyor of truth, one in which scientists are not free of eclipse.